Below you can view all the townhouses for sale in the Collinswood Park subdivision located in Suwanee Georgia. 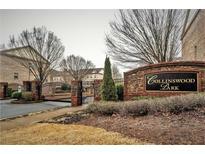 Listings in Collinswood Park are updated daily from data we receive from the Atlanta multiple listing service. To learn more about any of these townhouses or to receive custom notifications when a new property is listed for sale in Collinswood Park, give us a call at 404-998-4113. Finished Lower Level With Private Bedroom And Bath, And Even More... Easy & Convenient Access To I-85, Market, And Restaurants. Quiet Neighborhood. MLS#6531723. Heritage Ga. Realty. New Carpets, New Paint Large Dining Room Huge Family Room, Hardwoods On Entire Main Floors, Granite Kitchen Counter Tops, New Stove, New Dish Washer Stainless Appliances, Refrigerator Include, New Deck, Storage Space In Garage. MLS#6506053. 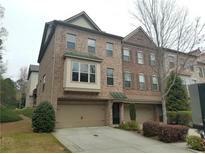 Americas Realty, Inc..
Gorgeous Master Suite W/ Spacious Bath & Closet, Lower Level With Finished Room And Full Bath. Must See! MLS#6106481. Trustus Realty, Inc..